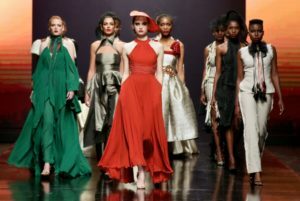 EThekwini Municipality has extended the closing date for invites to fashion designers / brands who are interested in participating in this year’s Durban Fashion Fair 2019 due to take place at the ICC later this year. Interested fashion designers / brands are requested to submit a complete story board of their collection that will be showcased at #DFF2019 to the address below. Only selected designers will be invited to go through the interview process. All storyboards are to be delivered to Phumelele before 4pm on Friday, March 15 to–The Business Support, Tourism and Markets Unit, EThekwini Municipality, 7th Floor, Embassy Building, 199 Anton Lembede Street, Durban. Don’t forget to include proof of residence, your CV and a certified copy of your ID. RISING STARS REACH FOR THE STARS!